The Magnattila was one of the first of the Flair Scouts to be designed and has stood the test of time superbly. Fit it with a Williams Bros. Spandau machine gun, lurk around up sun, and just wait for an unsuspecting Puppeteer. It makes an ideal first aileron model and has the added advantage of style. The kit is supplied in the standard land based version but like the Puppeteer vintage floats can be fitted thus providing a perfect introduction to float plane flying. Many a Magnattila has been used successfully as a first aileron model. Centre of Gravity position - on the main spar. Out of production and only 2 left in stock as of 10/11/17, order today! The Flair Cub is a sport scale version of the famous Piper Cub with build up wings. It has been designed to be perfect for the newcomer to powered aero modelling and it is widely agreed that this is one of the best models for learning to fly R/C model aircraft. Thousands have been built and flown very successfully. The model is available in various configurations; foam wings/ built up. Finishing a model is a personal choice but you can see from the photos that both military and civil are attractive. 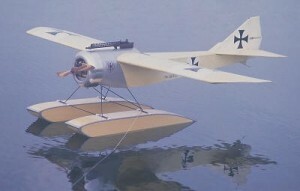 The Cub can also be flown off floats adding to its appeal. Sorry, no longer in production. Only 1 left in stock as of 10/11/17, order today! Kit Contains: Sheet and strip wood; Die cut parts; Engine mount; Cowl; Fuel tank; Hardware pack; Wheels; and highly detailed plans and instructions.